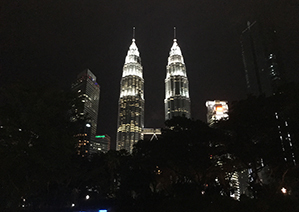 Geoscanners AB is a proud gold sponsor of the EAGE-GSM 2nd Asia Pacific Meeting on Near Surface Geoscience & Engineering. Please come and visit the event and have a chat with our engineers and perhaps our CEO as well! Welcome! Geoscanners has got a new logo! 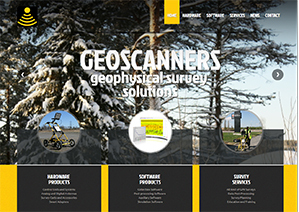 Geoscanners has got a new logo! |We are going to be updating all the documents and stationary, but for a little while the old Geoscanners' logo will appear now and then in some documents. We thank you for your understanding and loyalty to our company. Happy new year to all our customers and visitors! Big thanks to all customers who supported us during the year 2018, both the old loyal ones and to the many newcomers to our company. 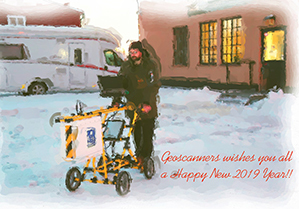 We wish you a prosperous new year and lots of successful surveys and findings! 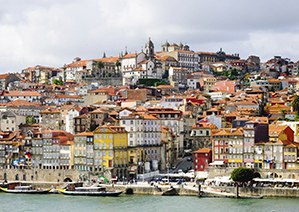 Join us in Porto for the 24th European Meeting of Environmental and Engineering Geophysics- where we will engage in a technical programme that will cover an important range of topics to the near surface field. We are excited to present our new website! We hope our efforts will result in a better communications experience with us. We also hope that you will find all the information you need here.